Samsun Ondokuz Mayıs University (OMÜ) is an established State University founded in 1975 in order to make a contribution and bring a new breath to the Black Sea region of economic, cultural and social life. Founded as a regional university and leaving behind 42 years in line with its mission; adopting universal values to bring about innovation to the benefit of individuals and society, working with intellectual rigor, it is one of the strongest research and teaching institutions in the country. 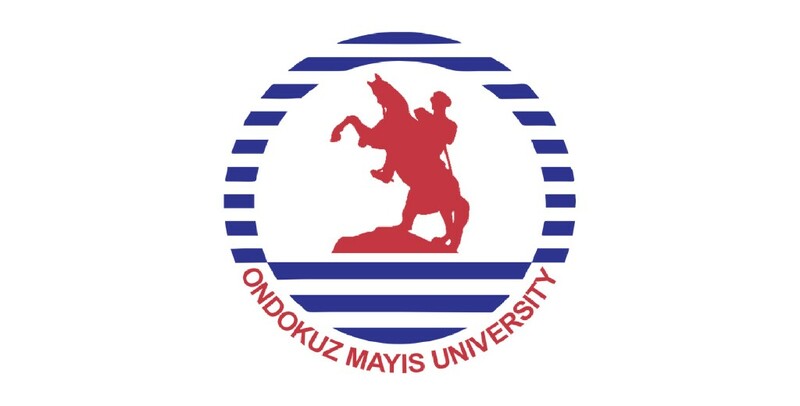 Ondokuz Mayıs University (OMÜ), named as “May 19, 1919” on which Mustafa Kemal Atatürk set foot on Samsun, has 20 faculties, 23 colleges, 13 vocational schools, 5 institutes, 1 conservatory and 24 applications-research center. OMÜ with 3 thousand 422 (2217 boy, 1205 girl) international students from 104 countries is advancing with firm steps towards becoming an international university. OMÜ, with academic and administrative units, experts in the field, experienced faculty, provides education and training at the associate, undergraduate and graduate levels. The University has about 58 thousand students, 2 thousand 348 academic staffand 3937 employees. In 40 years, it has had approximately 150 thousand graduates by year 2016. OMÜ, promotes award-winning eminent academicians and students to pursue their passions, questioning, investigating, responsible, enterprising, creative, and an interdisciplinary approach to solve the most challenging problems to the researchers who discovered it. With green nature, ponds offering a unique natural landscape Kurupelit Campus Center (8 thousand 800 acres), it turns out progressively from the Black Sea shore, watching the blue infinity of the hill. Extending into the sea at the campus on Ballıca Campus where you come into watching the planes flying towards the Blue Horizon of the track from the OMÜ.The University has Fine Arts Campus deployed seaside at the entrance to the city, and Mustafa Kemal Güneşdoğdu Campus in the town of Çarşamba. Apart from these, there are 10 more pieces of campuses various sizes in other districts of the University. OMÜ is working intensively towards becoming a university unhindered. Training, education and living spaces to be made in accordance with the characteristics of students with disabilities is one of the university’s primary service area. Student communities are supported in our university that there are 96 student socities with activities in the fields of culture, arts, sports, thought and career. and our University is eager for academic and industry collaborations. Samsun is one of the most significant commercial and industrial centers of Turkey for investors for its strategic location. Technology Development Zones are academic, social and cultural sites established to encourage and enable entrepreneurs, researchers, and academicians who want to create goods and services with new or advanced technologies, to conduct their industrial and commercial activities within university premises and benefit from its resources. The establishment of the Samsun Technology Development Zone was initiated on an 80.000 m² plot in Ondokuz Mayis University’s Atakum Campus with the decree of the Council of Ministers announced in July 2009. Samsun Technology Development Zone Managing Corporation, also known as Samsun Teknopark, was founded in June 2010 with the partnership of the university, public-private sector, and NGOs. The construction of the Samsun Teknopark Administration Building and Incubation Center started in March 2012 and was put into service in the second quarter of 2014. Samsun Teknopark encourages its stakeholders to turn their scientific knowledge potential into technological products and navigates research with the aim to address the needs of industry. To encourage entrepreneurship, and enable the establishment and the growth of innovative companies. Samsun Teknopark thrives to create an environment where the scientific knowledge potential can to turn into technological products, and researches within the university can be developed to address the needs of the industry. It aims to carry out activities in fields including but not limited to information technologies, automation, material development, nanotechnology, pharmaceuticals, molecular biology, biotechnology, defense technology, environmental technology, medical technology, and mechatronics.